Day 4 started pretty optimistically, he was looking alot less swollen. He also managed to eat almost a full donut and drink 300ml of water. He had to have a mouthful or three of water to just get each bite of food swallowed. His eyes were still swollen and hurt, he would need a warm cloth on his eyes for a long time before he could open them a bit without them hurting. It was a fairly quiet day, he had a sleep late in the afternoon, and woke up just before Grandma, Daddy and his brothers arrived for a visit. They had just been to the airport to pick up Mum. Because he had just woken up, his eyes were sore and hard for him to open, so he was very cranky and not as happy as he normally would be for visitors. He did warm up fairly fast, once his eyes were ok, and was very happy to have Grandma helping him with his bread roll and 'spikey' drink (lemonade). His brothers were just lovely with him, well, exept Pichu. He was always a little bit uncomfortable at the hospital, wary of even sitting on the bed, and totally traumatised if the bed moved automatically. It was late when they left, for a school night anyway. 7.30 and they still had to get the 2 cars out of the 24 hour carpark, and drive 25mins home. My car had been in town since Friday night, I had to move it the car park Sunday afternoon before Monday rolled around and we would start getting parking fines. Oshawott stayed up until around 11 that night, before we both got some sleep. Again, him more then me. We had some new room mates, more babies! Overnight his cannula tissued and had to be removed, his arm and hand were very swollen from having a night of 10ml/hour fluid pumped through the line. 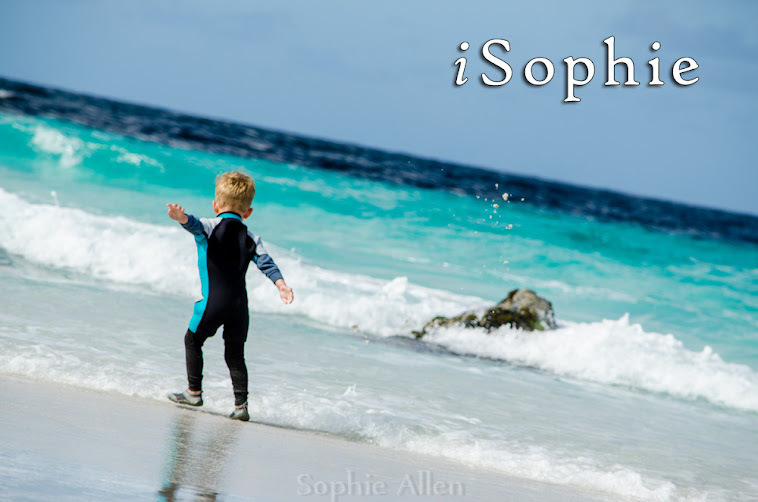 The doctors decided not to put a new line in, but they did need to do a blood test before they would consider sending us home. This meant another procedure, that would undoubtedly make him very upset. Luckily a finger prick was going to be enough to get the blood they needed. Though, as the nurse explained, it is more of a cut then a prick, to let enough blood out. He cried, I soothed him, the nurses distracted him with talk of naughty bees stinging, and how she had been bitten by a puppy dog when she was little. He thought that was funny. After the test, the nurse had a Treasure Box that he was allowed to choose a toy from. How fitting! We love a treasure chest! Everytime he draws a picture, it always has X marks the spot. Inside there was a variety of things, teddy's, colouring books, balls, dolls and other bits and bobs. He was picking things up, with his good hand, (which wasn't that good anyway, because it was swollen, sore and had a bandaid covering the hole where the cannula was) inspecting them and then discarding them again. Then Mummy spied it.. a treasure to beat all treasure. 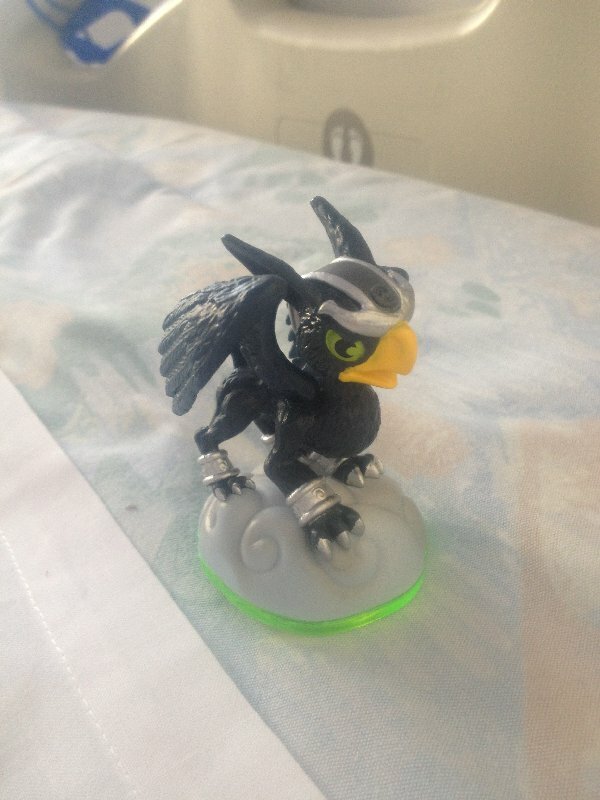 It was a Skylander! 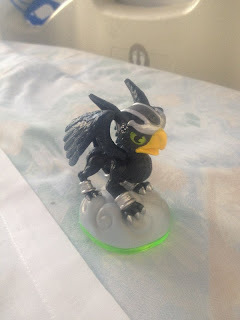 Not just any old Skylander, one of only 3 that we don't already have! I had not been able to find Sonic Boom at the shops, yet here he was, waiting for Oshawott in the treasure chest. I couldn't believe it, the nurses thought it was great, Oshawott thought he had won the lottery and told everyone what he had on the way back to his bed. Daddy arrived for a visit, without Pichu this time, which was much more relaxing. Pichu was home with Grandma, who was whipping the house back into shape, one laundry basket and sink full of dishes at a time. I told Oshawott I was going to go and "buy him a toy", and escaped the hospital to head home for a much needed real shower. I had had one a couple in hospital, but always had to be fast because he just didn't like it when I wasn't there. 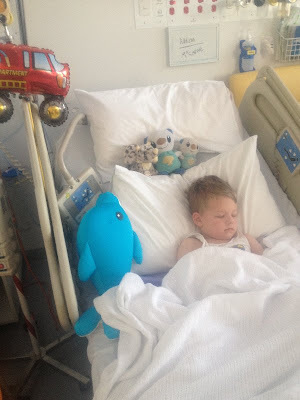 The night I went to buy him hotdogs I had to ask the nurses not to go into him unless he buzzed, I think he was just afraid they would come and stick him with more needles if Mummy wasn't there. I had just gotten home and had put Pichu down for his nap, when Coder messaged that the blood test sample had clotted and they would need to do the prick again. Oh no.. I felt so bad, I had told him the prick was one of the things we had to do if we were allowed to go home that day. Not sure what to do, if I should turn around and go straight back in to be there for the test, or hope he would be ok without Mummy. Daddy was there afterall, that would be ok? I had Coder ask them for more information, why did it clot? What was wrong with it to clot?! Waiting for some answers I jumped in to have a shower, which turned out to be super quick and no hair wash again, in case I had to go straight back up to the hospital. Clots just sometimes happen because of the lining of the vials, there was nothing wrong with Oshawott (well nothing other then what we already were aware of). They also managed to get the tests done on the one vial of blood that was viable. Whew! I was about to head back to the hospital when Pichu woke up, he was upset, I could either leave quickly and him sad and upset with Mum, or go and comfort him and work out how to get away without upsetting him more a bit later. I opted to get him up and give him some cuddles, he really had been missing out on Mummy lately. Mum decided we should all go up, so Pichu wouldn't be sad. I ran in to swap with Coder, while Mum and Pichu waited in the car. They had to go and get the boys from school. Oshawott was asleep by some miracle, because the 2 babies in the room were both screaming their lungs out. All we had to do was wait. If the blood tests came back as an improvement on the last ones, and if he took his next dose of anti biotic orally we would be allowed to go home. Having a quick (2 hour) nap before heading home. He had his first dose of oral anti-biotics when he woke up at 4pm. It took alot of persuading to get him to have it, 2 nurses were on standby to help if need be, but I reasoned with him. He is always really good with understanding about doing things the easy way or the hard way. We use this tactic for nail cutting and hair washing at home he always chooses the easy way. I don't think he even knows what the hard way is, just that it doesn't sound too good, so let's avoid it! I had a few visits that afternoon, from ward nurses to doctors, no one had the answer yet. And for awhile I was worried it wouldn't happen because it was taking so long for them to decide (that was after the results were back) and the ward nurse explained that she would have to move us to a new room if we did stay because they needed his spot for a younger baby. It was 5pm when we were told we could go home! I finished packing up our stuff and moved over the the parents room to wait for coder. I knew they needed the bed for another sick child, so the sooner we moved, the sooner they could clean and get the area ready for the new patient. He was so happy to be going home, he said "bye!" to every single person we passed from there to the car.